Go Confidently with Jolen Creme Bleach. Managing your extra body and facial hair is an ongoing process. There are just some places on face that I cannot wax or shave and need other options. What do I do? I lighten my hair and have been a long time fan of Jolen Creme Bleach for lightening my hair above my lip and I want to let you know how easy it is. Jolen Creme Bleach, the first cream bleach available, lightens noticeable hair easily and gently, making it virtually invisible. I only need to use it every three or four months and it lightens my facial hair quickly and safely with ease. Jolen Creme Bleach comes in an original formula as well as a sensitive formula with Aloe Vera, which is ideal for use on sensitive, more delicate skin, which I have. Jolen Creme Bleach is a highly recognized and trusted brand, often passed down from mother to daughter for generations and I have personally used it for years. I originally started using it as a hair lightener, believe it or not, after watching my Mom use it when she was in her 30's. I used it right in the front of my hair for brush on sun-kissed highlights. The brand has history! Jolen is celebrating 50 years in the beauty aisle with a giveaway. Now through November 14, 2014, enter the Jolen 50th Giveaway for a chance to win $50 gift cards to Jolen retailers, as well as Jolen Creme Bleach product. More than 50 winners! #GoConfidently. To enter, visit http://bit.ly/1uW7JwJ. 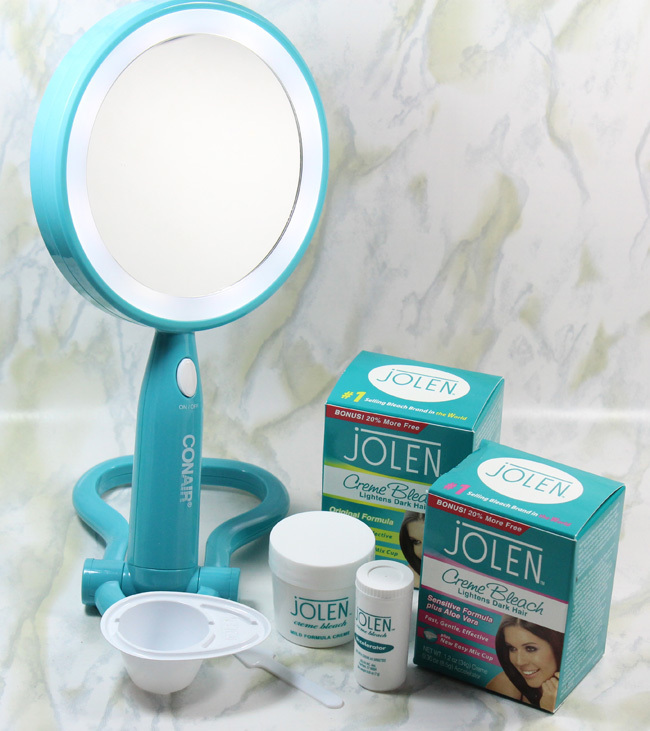 Look for the brand new packaging when you shop for Jolen Creme Bleach at your favorite drugstore or mass retailer including CVS, Rite Aid, ULTA, Walgreens and Walmart, as well as online.